There are almost 30,000 plugins available for WordPress through the administrator dashboard alone, and there are many more available elsewhere. Plugins add additional functionality to your blog, and all but the most basic of blogs will likely want to make use of at least half a dozen of them. This guide takes a look at ten of the best free plugins currently available. Available for WordPress 3.0 and later, WP-Optimize is an important plugin for improving the performance of your website by cleaning up and optimizing the database. Unlike many similar plugins, it does not require PhpMyAdmin either. The latest version includes an experimental task scheduling feature, and a number of multilingual translations are also available. You will need PHP 5.1 and MySQL 5.1 or later for this plugin to work correctly. Adding polls to your website is a great way to get feedback, particularly since many visitors are more likely to spend a moment or two responding to a poll than writing a comment. WP-Polls is one of the most popular of such plugins available. It is easy to configure, and you can specify expiry and publication dates for your polls. 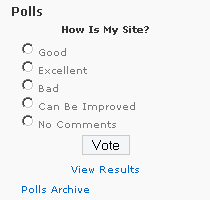 Using the polls widget added by this plugin, you can add multiple polls to your blog. More advanced users can also customize the plugin using CSS styles and templates. While the base WordPress platform is quite good with regards to SEO by itself, the WordPress SEO plugin by Yoast greatly extends SEO functionality making it one of the most popular SEO-related plugins available. This plugin allows you to specify which pages can be indexed by Google and which ones shouldn’t be. It also provides XML sitemaps, RSS optimization features, optimization for Meta tags and links, social media integration and much more. Google XML Sitemaps is another important SEO plugin which generates and XML sitemap for your blog. This sitemap will help the search engine crawlers to more effectively navigate around your blog and index its content. It supports all WordPress-generated pages and custom URLs. Another useful feature is that this plugin automatically alerts the major search engines whenever you publish a new post. Disqus completely replaces the existing commenting system in WordPress, greatly increasing the functionality of your blog comments and discussions. It makes things like commenting easier, faster and more interactive while helping to connect multiple websites and commenters to make for a powerful discussion community. Comments may also be indexed by search engines. Disqus provides comment automatic synchronization to back up your comments. 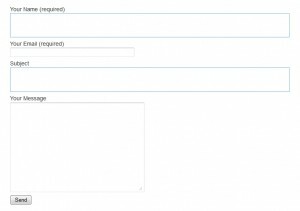 Contact Form 7 allows you to add and manage multiple contact forms on your website. It supports Ajax-powered submissions, the Akismet spam filter included with WordPress and CAPTCHAs. The latest edition provides full support for language packs, an improved administrator interface, various accessibility and usability improvements and a number of bug fixes. The latest version is also compatible with WordPress 3.8 and later. You can see Contact Form 7 in action on The Blog Starter contact page. 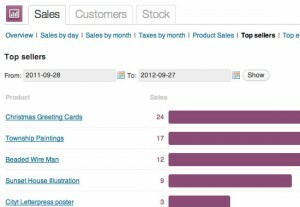 WooCommerce is one of the most popular eCommerce plugins for WordPress, and unlike many similar plugins, it is also completely free. This is a must-have plugin for any WordPress site which has an online shopping component. It provides essential security features, performance reports, tax and shipping information, store management, marketing features and search engine optimization. Various extensions are available for a fee as well. With over 7.5 million downloads, this media management plugin is one of the most popular WordPress plugins of all. It greatly improves the media management features built in to WordPress by offering a batch image uploader, a Meta data importer, thumbnail editor, image sorting, albums and much more. The latest major update was released in July, 2013, and it boasts a completely reworked interface and improved flexibility. JetPack is an official WordPress plugin which was previously only available to those who had their websites hosted on WordPress.com. The plugin is now available for self-hosted sites. This powerful and feature-rich plugin provides statistics, a social networking-powered commenting system, contact forms, site activity information, email subscriptions and more. JetPack basically integrates many of the features of other popular plugins into a single unit. Being one of the most crucial elements of online marketing, it is hardly any surprise that there are many social media plugins available for WordPress. 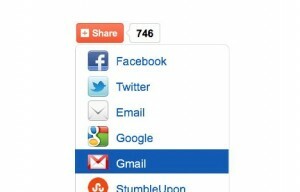 Share Buttons by AddThis is one of the most popular plugins for automatically adding social media sharing buttons to your posts. It supports more than 330 social networks and bookmarking websites, and users can also sign up for a free account on addthis.com to see how their readers are sharing their content. Thank you so much for all of the info. My blog is nearly up and running now. Thank you!!! I am a complete beginner and this step by step guide is exactly what I needed. I agree with K. Cramer. I’ve finally found a site that considers the idea that some of us are true beginners. Thank you so much for simplifying the process! This site has been extremely helpful! Thank you for taking the time to spell things out for us beginners. I finally get it!